Recycling leftover bread to support scholarships for disadvantaged students and refugees in Jordan has led to a Sunderland MBA student being presented with an international award by the King of Dubai. 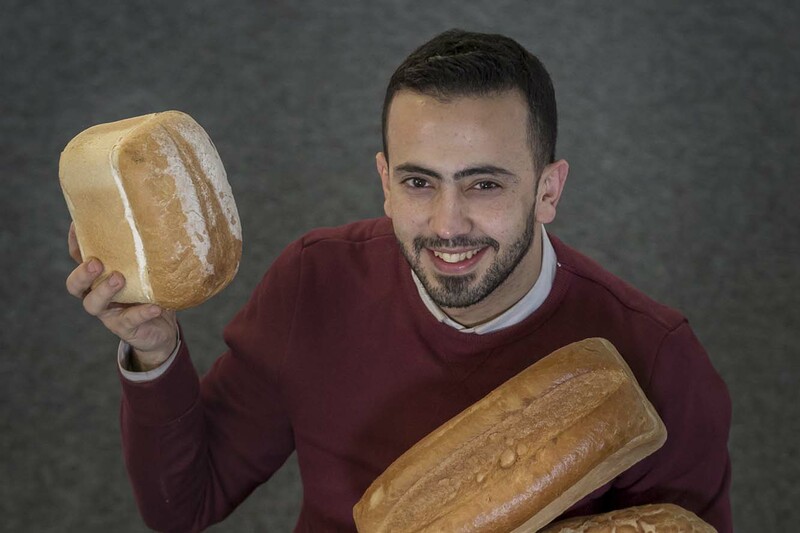 Abedalrahman Al-Zghoul, who is studying a Master of Business Administration (Enterprise and Innovation)at the University of Sunderland, has received the Mohammed Bin Rashid Award for Young Business Leaders in the Community Entrepreneurship Initiative Category, for his innovative project ‘Bread for Education’. The initiative, founded in 2013 by Abedalrahman, takes bread leftovers from hotels, restaurants and schools, and turns it into healthy feed for livestock sold to farmers and traders. The money from the dry bread is then used to provide scholarships for underprivileged students and refugees. 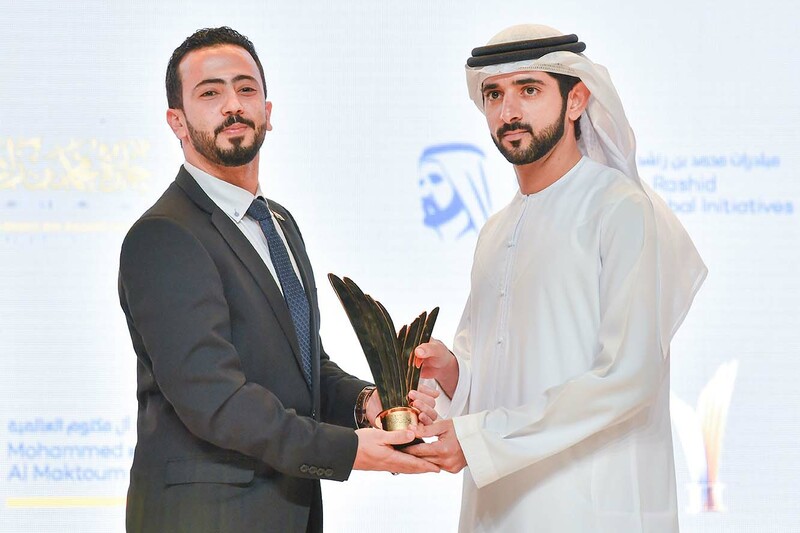 Abedalrahman received the award, established by His Highness Sheikh Mohammed Bin Rashid Al Maktoum, the Vice President and Prime Minister of the UAE and Ruler of Dubai, as part of his global initiatives to reward and honour outstanding entrepreneurs in the region. The 28-year-old, from Jordan, explained: “This award is a fantastic start for our initiative as we go into this New Year. I was very honoured to receive it, especially as a representative of the University of Sunderland. I want to the University to share in its success as the Masters programme is the very foundation and motivation for the initiative which has become a non-profit organisation in the Arab World. “This is the first Jordanian-Arab initiative based on spreading the concepts of recycling, starting with bread, because of its symbolism and association with the conscience of the people as a basic material in every Arab house. Bread for Education trained 17,500 students in recycling, collected more than 10,000 tons of bread scraps, and provided 1,200 scholarships to students in Jordan as well as refugees. It also allocated 1,200 boxes to collect the remains of bread, offering job opportunities for young people. Abedalrahman was given support to get his initiative up and running by King Abdullah II of Jordan’s Fund for Development programme. Last year he received one of Jordan's highest civilian awards, a Royal Medal for Excellence by His Majesty King Abdullah II. Other awards include the Best Entrepreneurial Award by the International Youth Organisation, the Volunteer and Humanitarian Initiatives Award for Youth in Kuwait and the Arab Creativity Award in the Community Sector in Abu Dhabi. Bread for Education was also chosen as a success story in the global campaign for education launched by former UN Secretary-General Ban Ki-Moon in the United States. Last year, Abedalrahman turned his initiative into a not-for-profit organisation under the name of ‘Recycling for Education’, which now includes three branches: Bread for Education, Paper for Education, and Plastic for Education, expanding its work to Kuwait, Palestine and Morocco. The awards ceremony took place at the Dubai World Trade Centre and was also attended by His Highness Sheikh Hamdan bin Zayed Al Nahyan, Mohammed bin Rashid Al Maktoum. Abedalrahman joined the programme in 2017, and will complete his studies later this year. 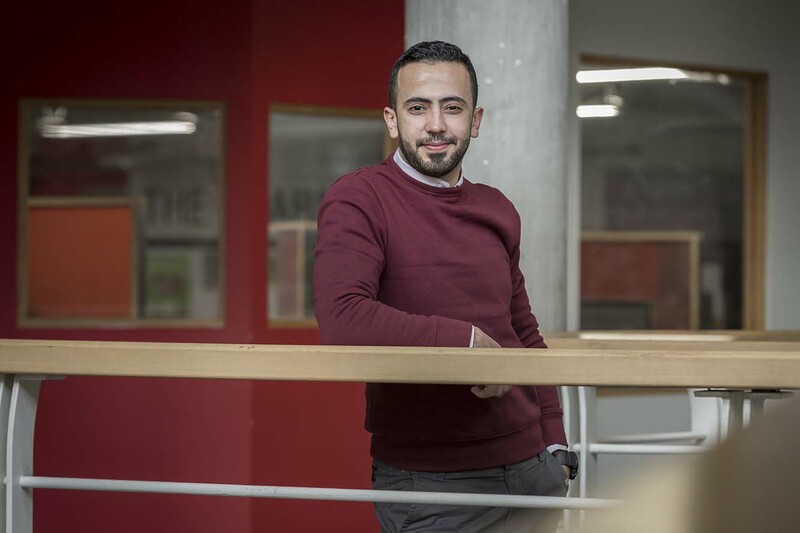 During his time with the University of Sunderland he has become a student representative of the MBA and has also signed up as a volunteer at the University. Click here for more information about the Masters of Business Administration MBA (Enterprise and Innovation).